The Greater Manchester Independent Prosperity Review, from a panel of leading economists, has listed among its key recommendations an idea Professor Ruth Lupton and Professor Lorna Unwin had put forward. Their idea is to create a Greater Manchester Partnership for Education, Skills and Training, with a similar ambition to the Greater Manchester Health and Social Care Partnership. Here, they explain why such a thing is needed, what it would do, how it would add value to existing arrangements – and why it won’t be ‘just another talking shop’. A partnership covering all aspects of education and training will help GM address the problems of fragmentation and competition which are preventing progress. Like the Health and Social Care Partnership, it would identify priorities and establish collaborative problem-solving approaches in localities and across GM. Ten years on from the Manchester Independent Economic Review (MIER), the Independent Prosperity Review (IPR) is Greater Manchester’s latest effort to take a critical, independent look at its economic performance and plan its future accordingly. The findings of the review will feed in to the Local Industrial Strategy (LIS), and to future plans and strategies including any further devolution asks and proposals for this autumn’s spending review. As part of the evidence-gathering process, we were asked to make some policy proposals for the education and training (E&T) system, based on an analysis of current challenges and opportunities. What’s holding Greater Manchester back? Our starting point was that Greater Manchester (GM) needs to shift from an E&T narrative that has focused on catching up to the national average, as if the main problem is the ‘underperformance’ of GM’s institutions and educators. As our evidence to the review showed, GM’s differences with the national average are small, and similar to those of other large cities outside London. What’s mainly holding us back isn’t our comparative failings, but the well-known deficiencies of the highly centralised and competitive English E&T system as a whole. These include the separation of the ‘education system’ from the ‘vocational training system’ and the workplace; the lack of quality post-16 options for non A-Level students; an overreliance on early phases of education at the expense of a lifelong approach and therefore a lack of attention to workplace learning and adult education; and the propensity of the school system to reproduce rather than overcome socioeconomic inequalities. Greater Manchester won’t tackle its problems of educational inequalities, wasted talent, under-utilisation of skills and low productivity by nudging up to national averages in a failing system. It needs to find better ways to organise the system locally. Workplaces sit outside the system but are connected in variable ways. Each of these subsystems exhibits its own problems of fragmentation and competition, and some are changing at a rapid rate. The rapid expansion of academies and multi-academy trusts (MATS), in particular, has substantially disrupted local patterns of inter-school collaboration and support arrangements, with some local authorities having minimal school improvement capacity. Institutions within each sub-system also have their own accountabilities and targets, geared to the end of their particular phase of learning, which provide different incentives and can bring them into competition with one another (for example, school sixth forms vs apprenticeship providers). Progression between and across these phases is not guaranteed and young people and adults can end up treading water rather than improving their existing skills. So how could GM get a grip on this complex and fragmented system? We argue that the example already exists, in health and social care. Granted, GM’s Health and Social Care Partnership has had a £450m Transformation Fund and central government’s blessing for health and social care integration, but what’s really striking is how it has brought together multiple organisations in three different forms of managed collaboration: at the locality level including multiple agencies and community and voluntary partners; at the strategic level to agree the key ‘game-changers’ in making the system work better; and a cross-GM focus on priority themes like cancer and dementia. Although health and social care organisations are still accountable to national frameworks, this approach means they can collaborate locally and across local authority boundaries to tackle priority issues for GM, use resources more efficiently and co-produce innovation. How could this work in education and training? Everyone will have their own idea about how these principles could work in E&T. We provide some examples. At the locality level, groups of institutions across phase could: agree shared sets of outcomes and measures of success; develop curriculum pathways or pedagogic approaches together and with employers; agree to share responsibilities for specialist provision; and/or establish boards or panels to monitor and manage access and exclusions. At the GM level, representative institutions could work together on some of the ‘game-changers’ – for example, building better post-16 progression pathways, taking a strategic approach to staff retention and workforce development or getting to grips with practices like rising exclusions and ‘teaching to the test’. The E&T equivalents of cross GM themes like cancer and dementia might be curriculum areas (such as maths and digital skills), particular groups of students currently poorly served by the system, or industrial sectors to enable the planning and delivery of skills pathways. The key point is that by working collaboratively, stakeholders in the system can get past a focus on correcting weak points in existing local performance, and start to make headway on correcting the parts of the national system that are producing the wrong kinds of outcomes. Some of these kinds of things are beginning to happen already through existing GM collaborations formed through effective use of local professional expertise and experience. Some of them might need new powers or freedoms from central government. However, to really affect a step-change, GM needs to take the plunge and put in place a whole system approach, following its own health and social care example. It needs a dedicated executive leader; a symbolic statement of intent; a re-alignment of its various boards so they work together rather than as silos; an increase in analysis capacity and knowledge sharing; and so on. The space is there for GM to create a better way to organise education and training and in so doing to provide a blueprint for the rest of the country. 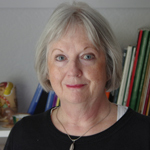 Lorna Unwin is Professor Emerita of Vocational Education at the UCL Institute of Education, London, and an Honorary Professorial Fellow at the University of Manchester. 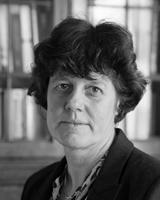 Lorna’s research interests focus on the changing nature and development of occupational expertise, the workplace as a site for learning, and the historical development of further and technical education in Britain.